You always have home court advantage in the game of darts when the dartboard and cabinet is hanging from your wall. Practice up before a tournament starts, and then win! The game of darts is a game played with live people in a live setting. That’s quite different from the perception of “gamers” today, who sit behind a screen and flick their thumbs up and down to beat mythical creatures. Besides giving yourself the leg up on your competition, installing a dartboard can foster the old-school type of gameplay, that happened real time and face-to-face. 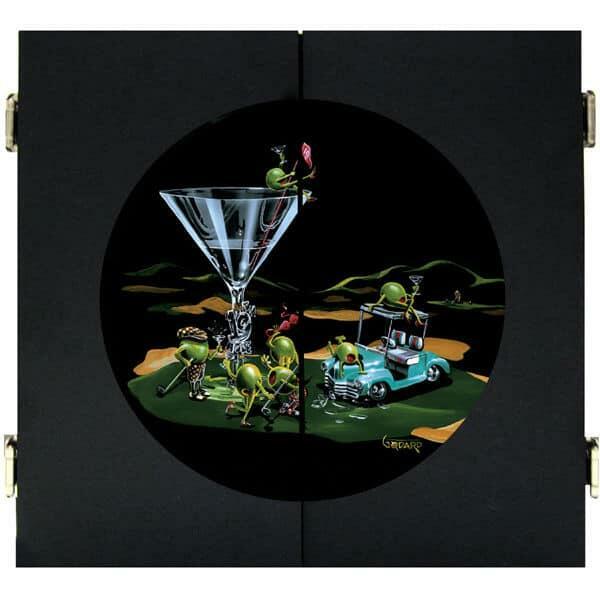 The Godard artwork featured on the front of the dartboard cabinet is humorous and eye-catching with exciting bright colors on a deep black background. 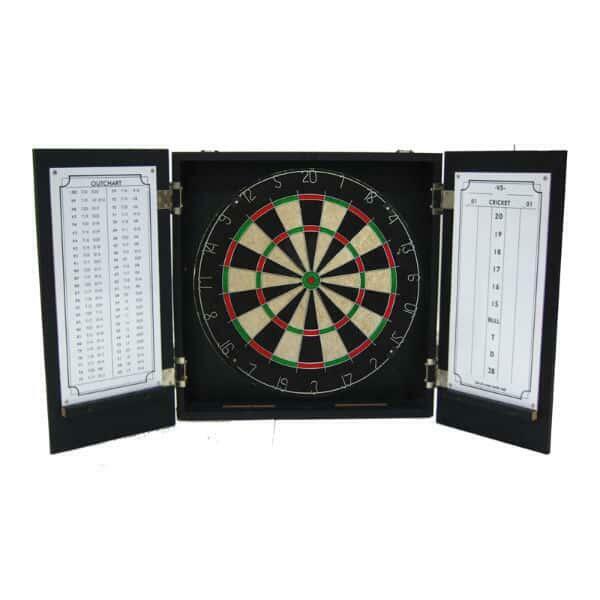 The double doors open to show a tournament style bristle dartboard with a removable number ring and two dry erase whiteboards. Bring darts into your world, and share it with your friends and family. This item ships via UPS / FedEx. Most delivery times within the Continental U.S for billiard accessories range from 2-5 business days depending on location. All in stock orders recieved before noon will ship that SAME DAY.